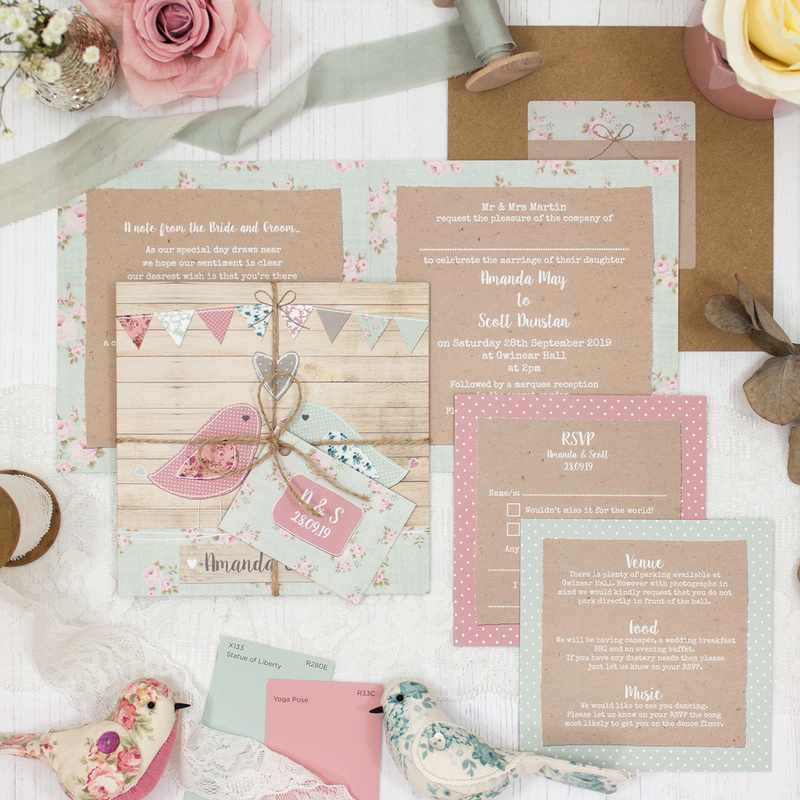 Wedding invitation sample pack including an RSVP, info card, string and tag, envelope and label in the Lovebirds Collection design. Inspired whilst gazing out of my window at a pair of little birds hopping about the garden path together. I like to think they were a hopelessly romantic married couple in love. 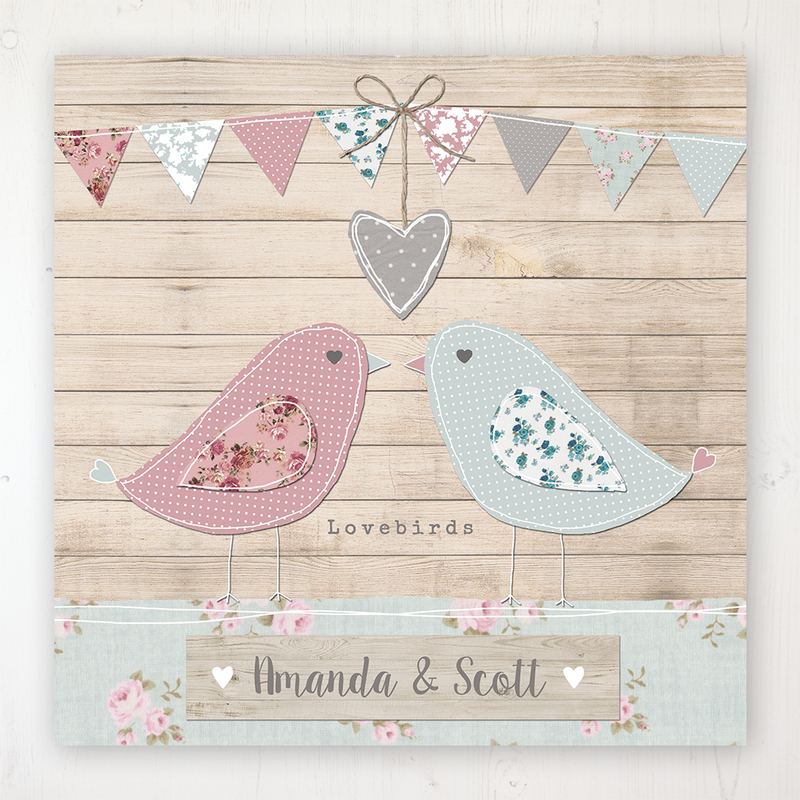 This collection is whimsically cute depicting how birds might be standing at the alter on their wedding day, showing their love to each other through their eyes and tail feathers.